It’s Khabib time! 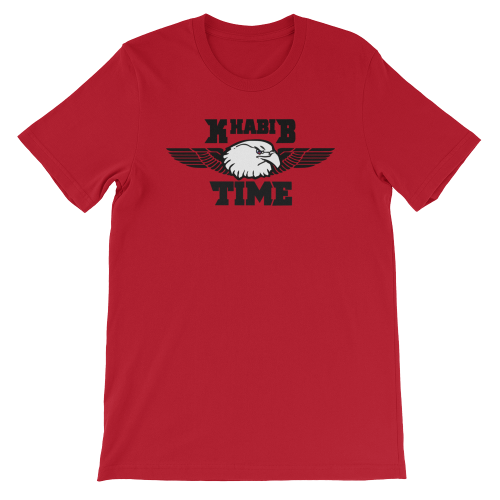 If you’re a fan of Khabib then you will enjoy this shirt. It was about time for us to finally get one of our very own specialized artist to craft a unique graphic design. Although we went all out on design, we couldn’t sacrifice comfort, so we made sure the shirt feels soft and light, with just the right amount of stretch. The comfort from it’s 100% combed and ring-spun cotton makes it one of our crowd favorites.